Taxes … … taking … ………. longer ………. ……………….. than anticipated! ……………….. But DONE now (sort of). How’s your Sunday going? It’s a glorious winter’s day here in Canterbury. Here’s the view from quite-a-few-hours ago (before taxes intruded). 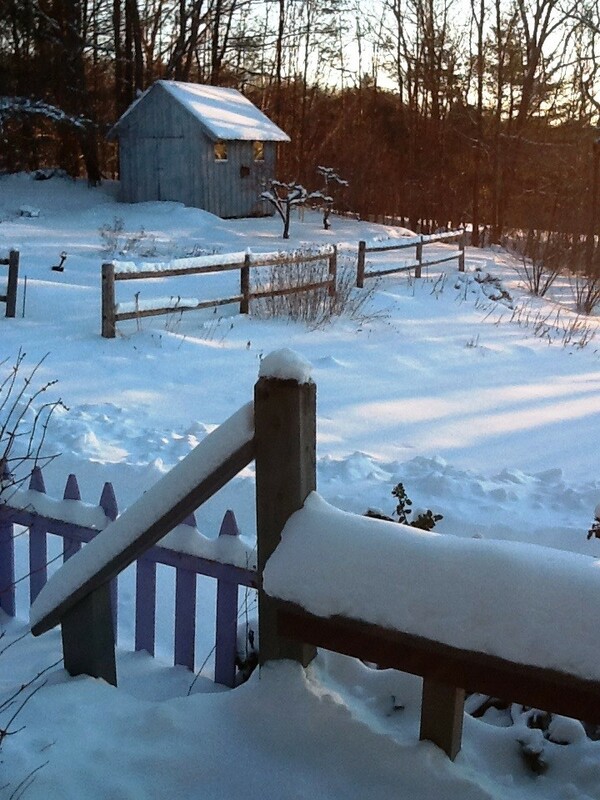 See … there’s the new morning light on the dormant garden, and the shed, and the picket fence around JBD’s cottage garden … and the railing of the deck … all covered in our most-recent bit of snow. Love it! 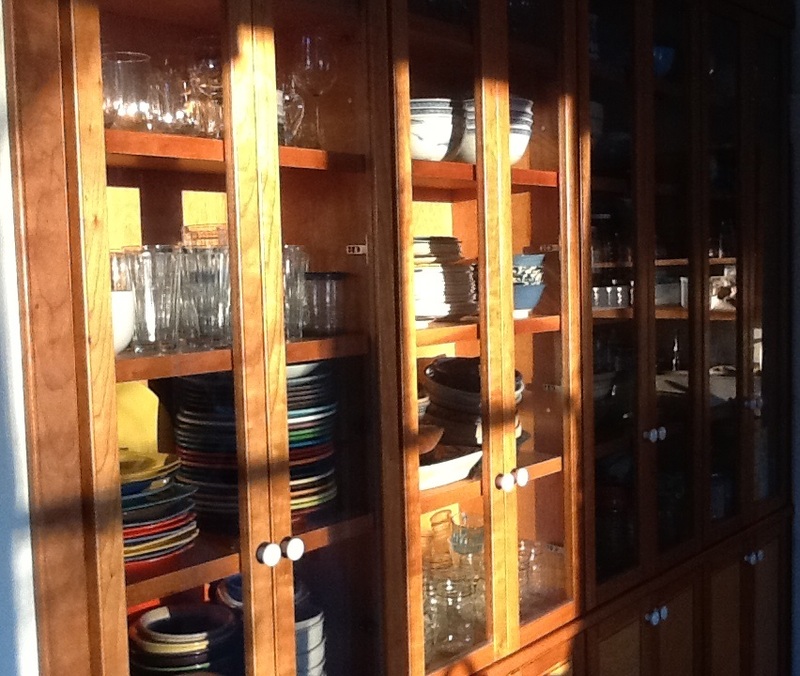 And here’s the morning light on the inside of the house – glowing across the cabinet wood and the glasses and plates inside. Small, everyday scraps of beauty (from before taxes intruded). But now the taxes are done so I’ve really nothing left to complain about. (And even the process of doing them wasn’t that painful … just time-consuming on a beautiful day).